We are leading manufacturer and exporter of Grill Pan (with Glass Lid) and our product is made up of good quality. Owing to the expertise of our team of experienced professionals, we are able to introduce an exclusive range of Grill Pan (with Glass Lid). The provided pan is manufactured under the strict supervision of our adept professionals by utilizing approved quality heavy gauge material. 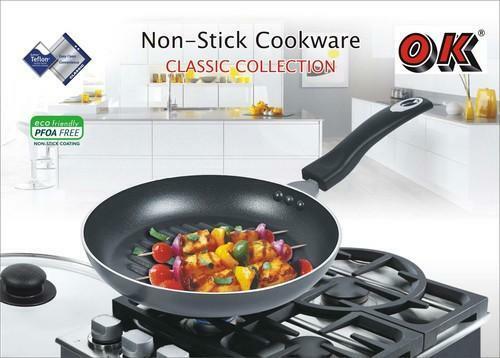 Acknowledged owing its moisture and termite resistant quality, the offered pan is suitable for kitchens engaged in heavy production. Also, the offered pan can be purchased from us at rock-bottom prices.